Deck the Holiday Table with Red iittala! 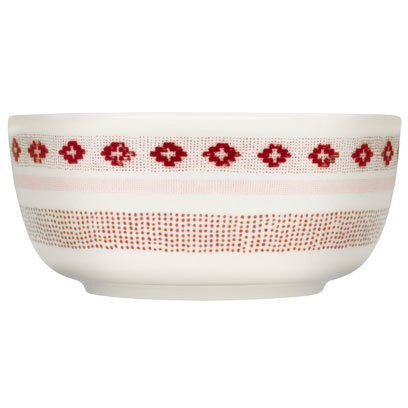 Whenever you are looking to add a little color to your kitchen or table settings, look no further than iittala. You can ring in the holiday season - and the New Year - with some of their beautiful tableware. Leaders in Scandinavian design, iittala has been creating timeless yet contemporary glassworks and home furnishings since 1881. Their motto is "Shop today and love forever." We have several suggestions for decking your table with some red seasonal cheer that you will love for years to come. Tea or Cocoa? A winter's day isn't complete without a hot mug of steamy deliciousness by your side. This iittala Teema mug is beautifully designed by Klaus Haappaniemi and Heikki Orvola. The beautiful winter scene, complete with an ornately painted owl, will become a seasonal favorite. Be a square peg. If you would like to switch up the geometry of your table settings this year, why not make the switch from round plates to square ones? 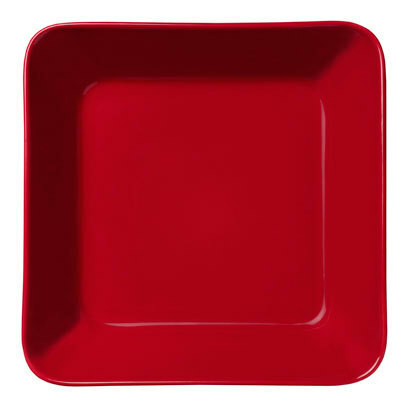 The Teema Square Plates come in a variety of colors but the red and the blue will add a traditional holiday accent to a contemporary setting. On the earthy side. Do you prefer more natural and earth-inspired tones? The Sarjaton Bowls are made from clay, which lend them a softer, more natural color palette. They can be used alone, or can be paired with other pieces in the Sarjaton dinnerware line. Please continue browsing the Didriks website for more red iittala accents to deck your holiday table this year.